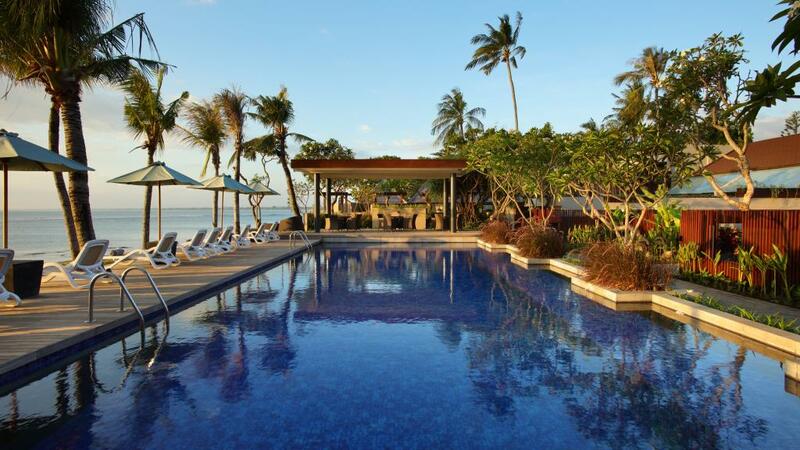 The ANVAYA Beach Resort Bali is a hidden sanctuary amongst the hustle and bustle of Kuta. This luxury Bali accommodation offers five star resort facilities and direct access to the beach. The ANVAYA Beach Resort Bali is perfect for couples and families looking to relax and unwind with access to swimming pools, restaurants and bars, day spa, kids club and more. This five star luxury Bali accommodation offers the perfect choice for a memorable family holiday or romantic couples escape. Ideally located on the beachfront in South Kuta is The ANVAYA Beach Resort Bali offering a great range of on site facilities including kids club, day spa, swimming pools plus restaurants and bars. Within walking distance of this Bali resort are markets, shops, entertainment and nightlife. For your next Bali holiday look no further than The ANVAYA Beach Resort Bali.